The silver metal is skillfully twisted into an enchanting infinity loop. Within the frame sits a pear shaped opal enticing you with its gorgeous colors. 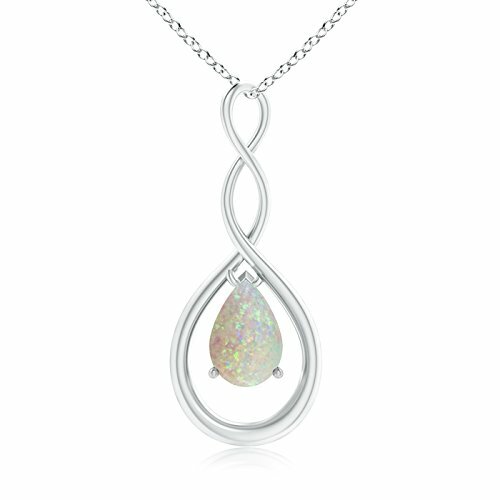 The opal in this infinity loop pendant is prong set for maximum brilliance.